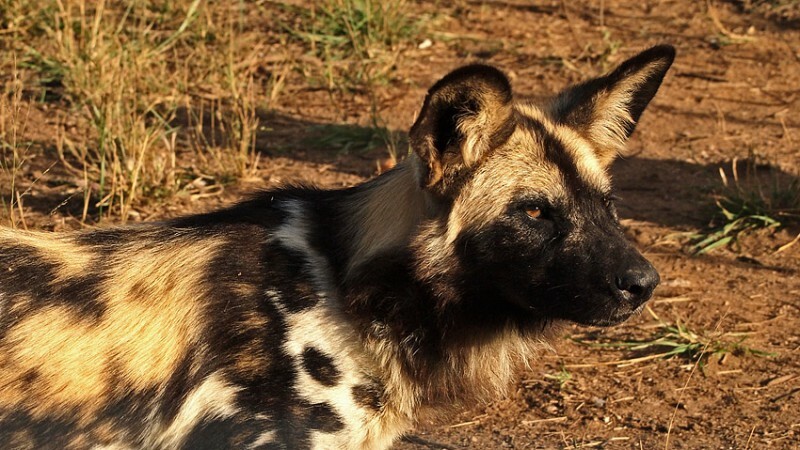 Today the african wild dog is endangered. They used to be common all over Africa with over half a million living in packs of up to 100. Now there are only about 3000 to 5500 dogs remaining. 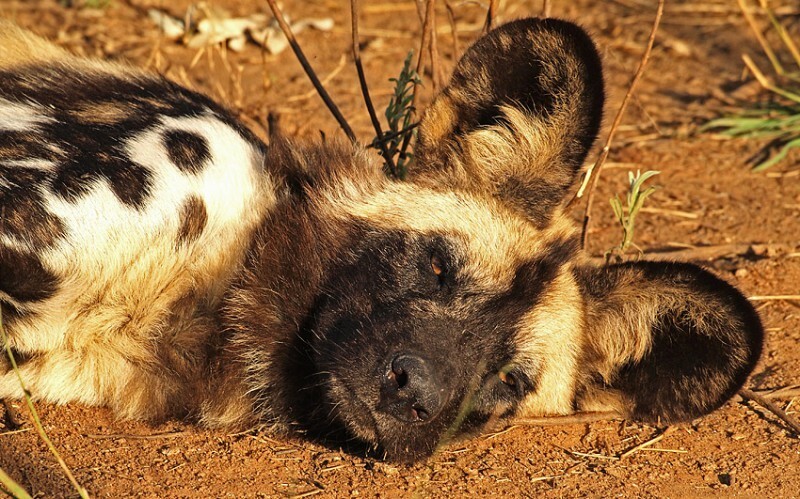 The african wild dog likes open areas. They live and hunt in packs of 10-15 dogs or more. They are of course endangered mainly because of us. But they are also threatened by the competition of other animals like the hyenas and lions. 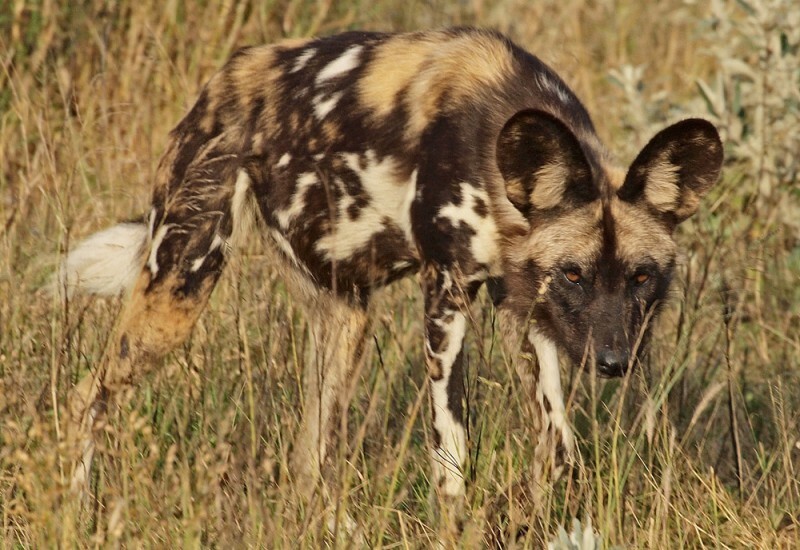 By staying in big packs the wild dog can handle the hyenas. Lions often kill the wild dogs but never eats them. The ones we saw were all sisters and brothers. They were 14 dogs with the the same mother but with different fathers. 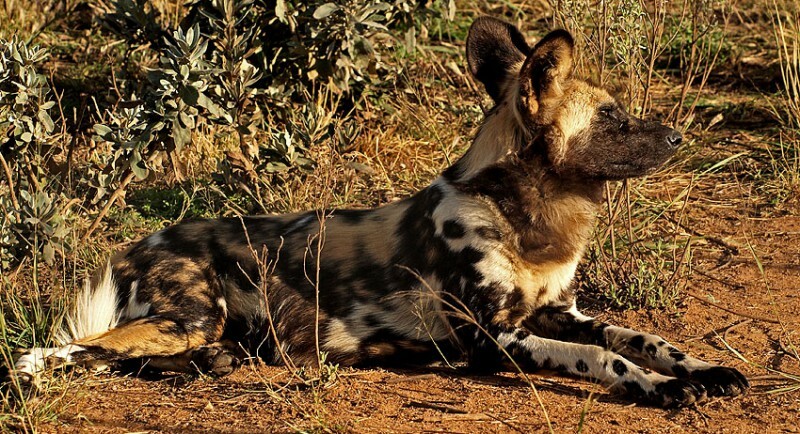 The African wild dog can give birth to up to 19 puppys at a time though 7-10 is the normal. In wild life few survive the first years but we had all 14 in front of us, behind the fence that explains why they are still 14. The plan is to bring in other dogs and with new blood breed this endangered animal. I can´t say that we were met by grateful or friendly eyes. They looked at us in a way that it felt very good to have a fence in between. 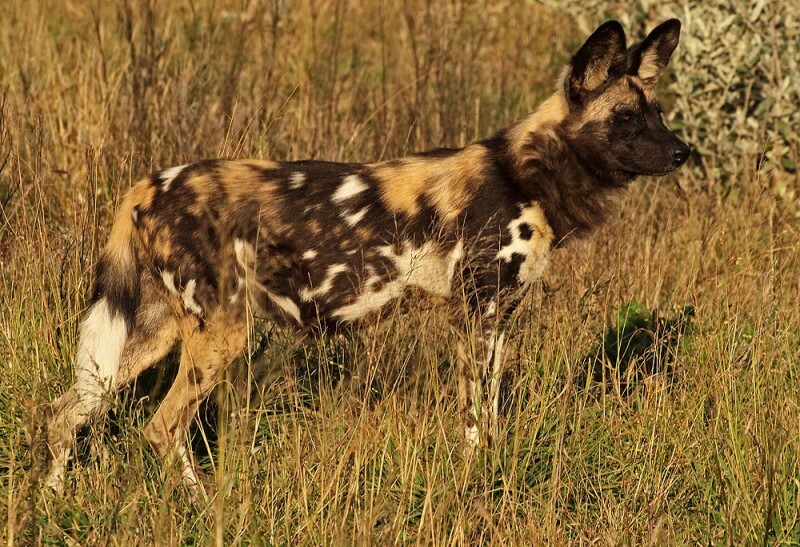 Today the African wild dog is primarily found in Tanzania, Botswana and the east of Namibia. 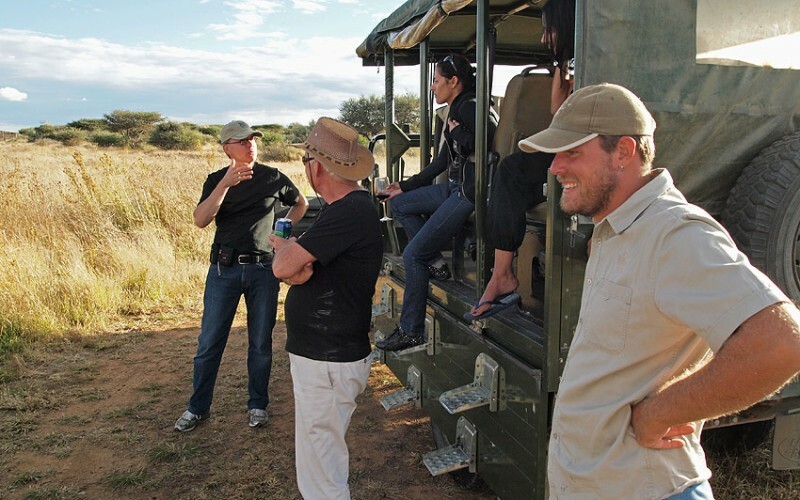 It needs big areas so for the wild dog to survive there is a need for very large game parks. Few of them are big enough. In our group of visitors were also farmers. They told us that the wild dog is not popular with them and that they kill them when they get a chance. The reason is of course to protect their live stock. It was a bit of a strange feeling watching these animals. I can’t say that they are beautiful animals. Looking in their eyes doesn’t make me like them too much. And still it feels sad knowing that even in a sparsely inhabited country like Namibia there is hardly any room for an animal that really belongs here.